Redpath Sugar started crafting sugar as the Canada Sugar Refining Company in 1854 in Montreal, Quebec and was founded by John Redpath (1796-1869). John Redpath was born in Earlston, in the Scottish Borders during the period of the Lowland Clearances that created economic hardship and dislocation for many Scottish families. As such, the twenty-year-old John chose to emigrate to Canada. With limited funds for ship passage, the near penniless John disembarked at Quebec City, then walked barefoot to Montreal, at the time a city of only 16,000 residents. Once there, he found employment in the construction industry, working as a stonemason. A man of integrity with a prodigious work ethic and a keen business sense, within a few years he was running his own sizeable construction business and founded the Canada Sugar Refining Company in 1854. Located on the bank of the Lachine Canal, the complex was the first of its kind in Canada, using sugar cane imported from the British West Indies. 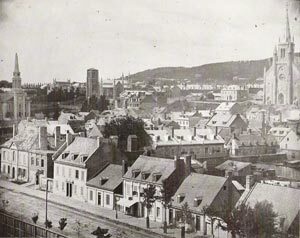 Its construction was part of the economic boom that, during the 19th century, turned Montreal from a small town to the largest city in Canada and the country’s economic engine. In 1857, Peter Redpath (1821-1894) became a partner; his brother-in-law, George Alexander Drummond (1829-1910) joined the firm in 1861. Under his guidance, the company's success allowed for construction of a new six-storey plant built on the existing site, doubling production capacity. In 1930, Redpath Sugar merged with Canada Sugar Refining Company Limited of Chatham, Ontario. The Redpath Sugar Refinery was built on the Toronto waterfront in the late 1950s, at the time of the completion of the Saint Lawrence Seaway, and is still our home to this day.